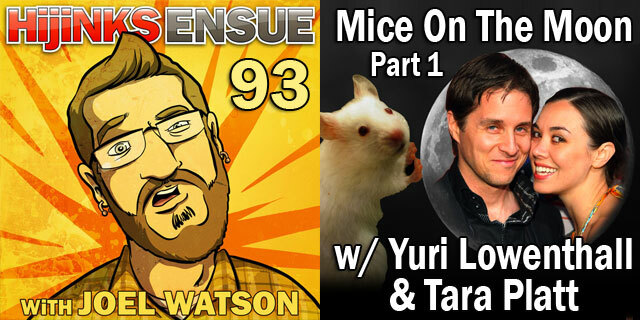 In this episode I talk to my friends Yuri Lowenthal and Tara Platt about how they have the greatest job in the world. They are both full time professional voice actors in Hollywood, California, USA, Earth and I find everything they have to say about the world of voice over and voice acting to be COMPLETELY FASCINATING. Will you as well? Perhaps. Perhaps YES YOU WILL DEFINITELY FOR SURE! Posted in Classic HijiNKS ENSUE Podcast and tagged Joel Watson, Tara Platt, Yuri Lowenthall.